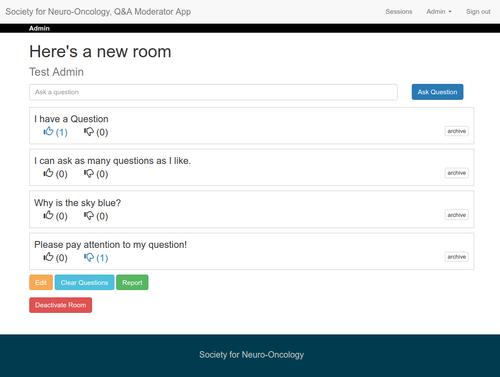 A custom, multi-room chat app, intended to ask and rate questions during a live presentation. 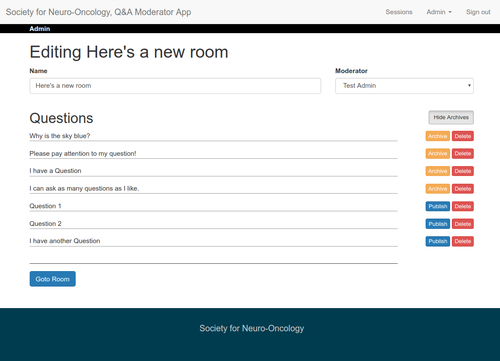 Questions are ordered based on popularity. 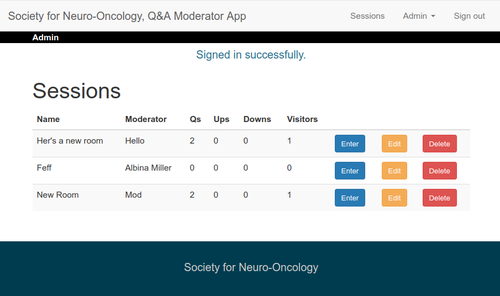 Moderators can build sessions, add questions, hide questions, custom-order questions, and generate complete session reports.